South Pacific’s products are proudly made by South Australians and are designed to meet our demanding environmental conditions. 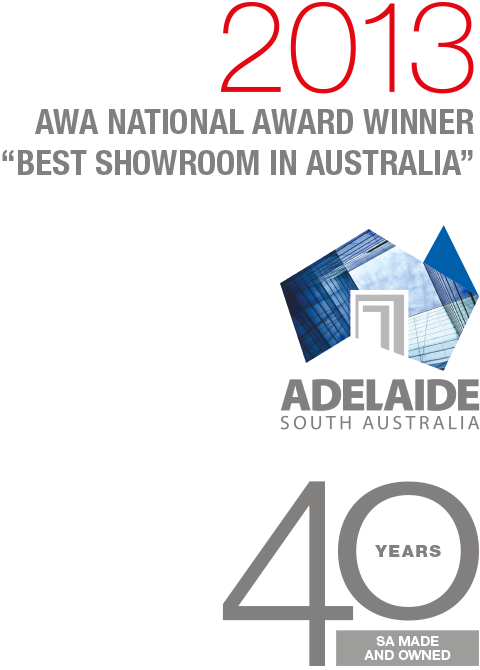 Our conformance to the Australian Window Association’s Code of Practice ensures quality systems are followed for outstanding performance and reliability. All our products and installations come with a seven-year limited warranty, backed by our second to none service department. This reassurance provides our customers with confidence when selecting a quality product. Installations by licensed professional installers allow for peace of mind and satisfaction guaranteed for years to come, a promise delivered by over 40 years of South Pacific’s industry experience and service.